Leading up to Christmas, I took some time out from working on my son’s quilt to work on presents — specifically, sweaters for both kids. 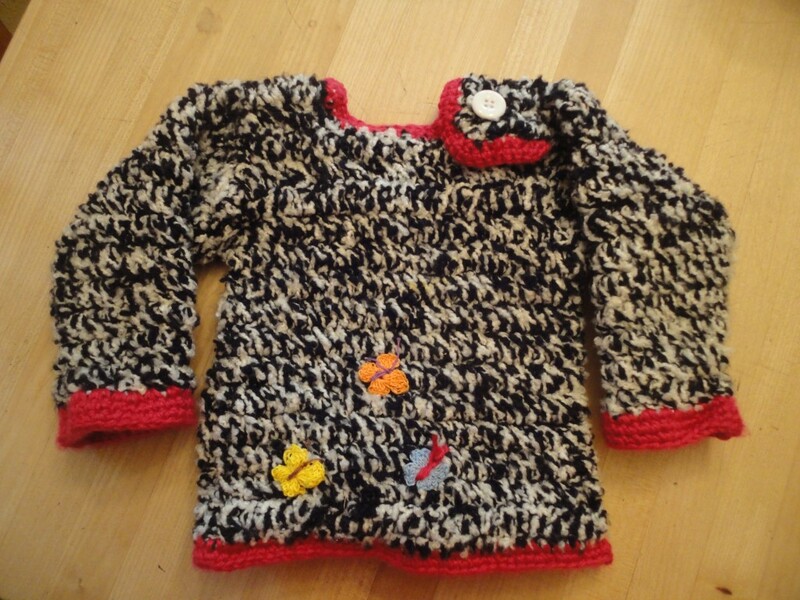 Crocheted sweater for 4-year-old. Butterflies crocheted from embroidery floss and stitched on with thread. I have more butterflies to add to the girl’s sweater. Maybe I’ll add a couple each time it goes into the wash. By the end of winter, it should have a whole flock of them. Knitted sweater for 10-year-old -- front, back, and neck. Note that the yarn knits up in stripes; they do match front and back. 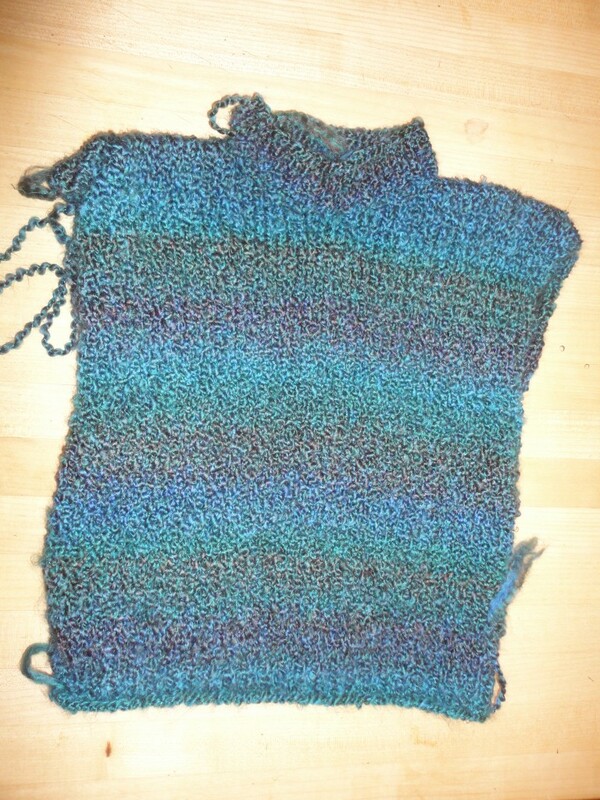 Trickiest part of the boy’s sweater is getting the stripes to match. I’ve taken most of this week to make sure I’m starting with both sleeves such that the stripes will be the same on both arms. With luck, he’ll have the sweater to wear when he goes back to school next week. I can't take credit for this one. The girl wanted a "princess tow truck car" for Christmas, and Santa obliged. Snow White is on the other side of the truck, and Belle and Aurora are inside the doors. Jasmine was on the front, but fell off. Very nice! I love love love the tow truck! It’s definitely her favorite, too. (The heart on the door, which may not be clear in the photo, actually says “Princess.”) Don’t know how Santa can ever hope to do as well again. Nice plan on the butterflies. The sweaters and the truck look cool. I am amazed at how you make wearable things from knitting. I can’t keep my tension even when I try (which I haven’t for years :)). The first couple sweaters I did . . . not so neat. Lots of blankets helped with the tension. Now I find that when I knit, my muscles all relax to keep the knitting from being too tight, so it’s great as stress relief. Hmm, interesting. Maybe I should give it another try. Sigh. Forgot to check the box so wouldn’t see any replies. Just ignore this one. Where did the “princess tow truck” idea come from, I wonder? No idea. 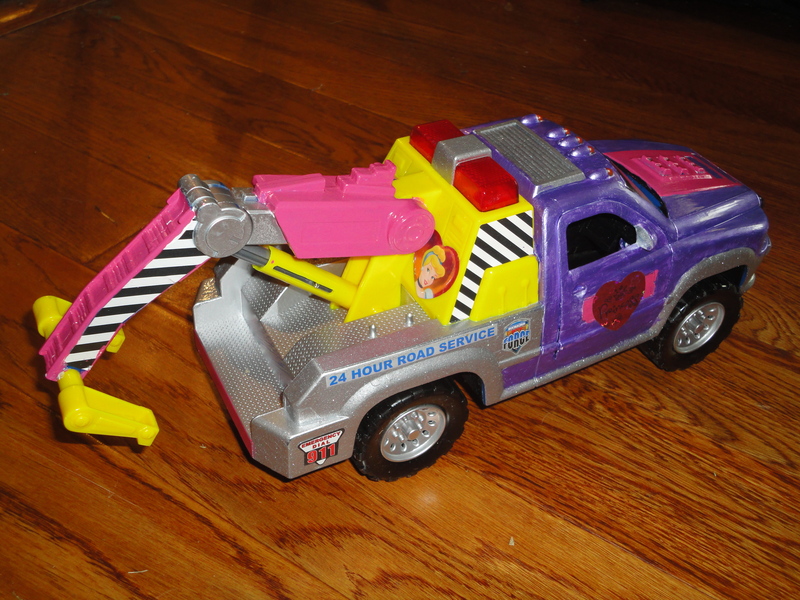 One night as she was going to bed, she said that’s what she wanted from Santa — a princess tow truck car. She loves Disney princesses and fairies and has always loved motorcycles, cars, and such. I suppose from her point of view, it was a logical mash-up.